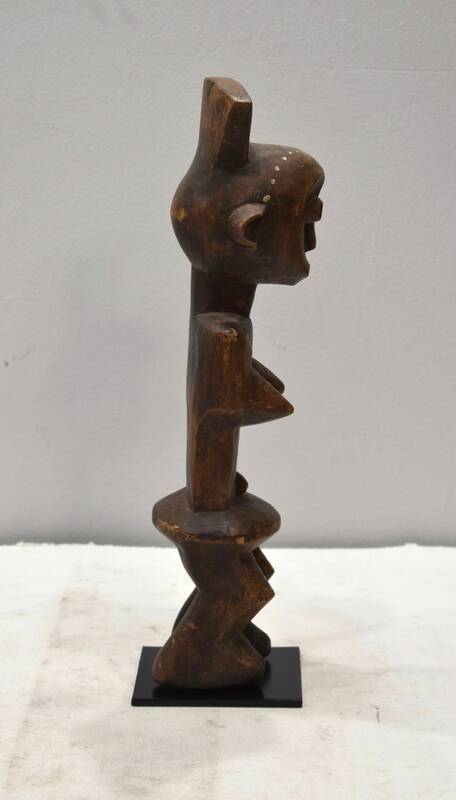 This is a very interesting Carved Wooden Sculpture from the Tabwa Tribal People from Democratic Republic of the Congo. 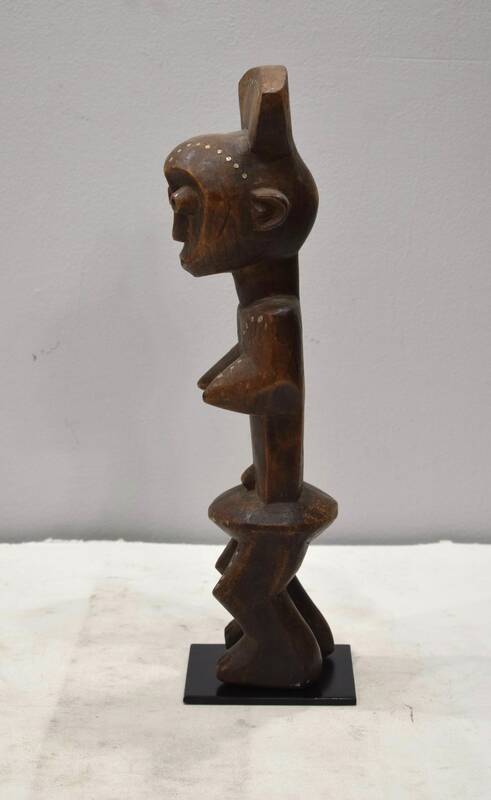 This female figure head is usually ornamented with a decorative coiffure. Body scarification patterns ornament the torso and portions of head. 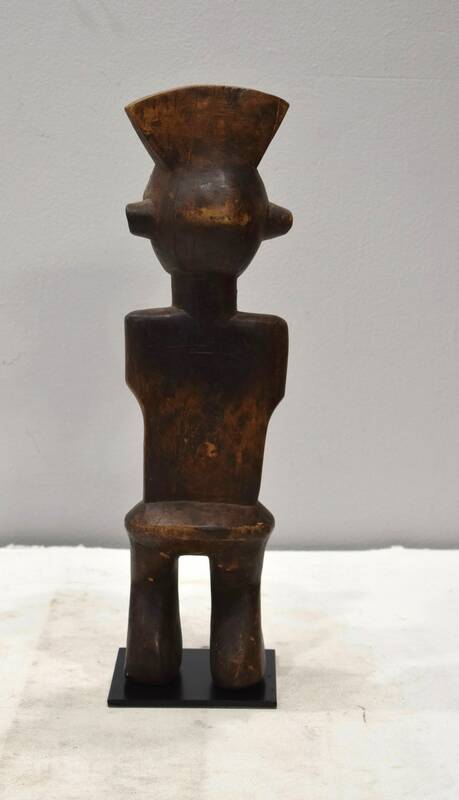 The figure has relatively short, rounded thighs and legs bent at the knees. 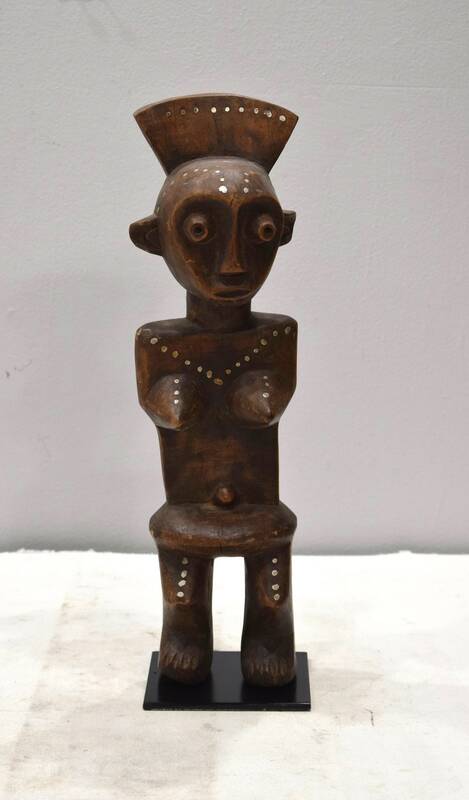 Tabwa figurative sculptures represent ancestors who were to assist in daily activities and during the hunt. Tabwa art is both a symbol and an esthetic statement. The distinctive facial markings consisting of a number of lines along the sides of the face and along the forehead were the means whereby Tabwa identified themselves to localities and social status. They are also a high form of body art or ornamentation. Elaborate and attractive patterns and designs were worked into the skin according to the Tabwa concept of Kulemba that reflect aesthetics, social membership and the abstract idea of order upon the chaos of nature. This would be a wonderful addition to your collection or home.